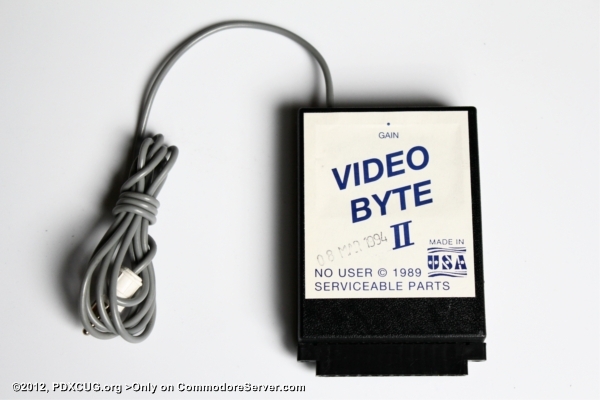 The Video Byte II is a video digitizer that sits in the user port on the Commodore 64. It captures black and white images, but companion hardware (Super Explode) allows you to colorize the images. I'm assuming the RCA plug went into a video out port of VCR or something like that? That would have been pretty cool at the time.